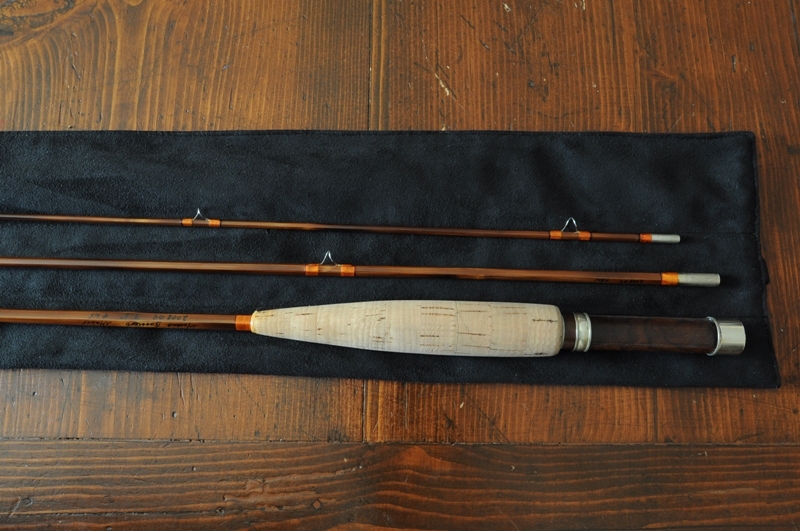 Used - dark flamed 7' 6" rod. Hollow built - 4 weight. Semi parapolic action. Nickel silver ferrules and Bellinger reelseat. COmes with a black Alcantara rodbag.